It is now official! The full city council of Los Angeles unanimously endorsed the new backyard beekeeping code in a 15 to 0 vote. Mayor Garcetti set his signature to clinch the new law, and now we have the largest city in the country covered for keeping backyard hives. The new rules do not specify what sort of bees we may keep nor what kind of hive we must use. The language is concerned mainly with lot line setbacks, alignment of the flightpath and enclosing walls or fences—in other words, land use issues. 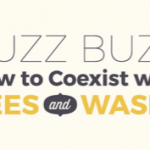 But with privilege comes responsibility, and one of the very important things to remember is that most of the folks around us will not be keeping bees. Annoying the public will lead to nuisance complaints. We must manage our bees well, giving them regular inspections for space assessments, health, temperament, and queen viability. Joining up with other members of bee clubs and keeping up with educational advancement will be very important aspects of setting the best impression for calming worried citizens who are not so sure about this new allowance for backyard hives. There is one part of the code that requires the beekeeper to interact with the officials, and that is this—-The applicant is registered as a beekeeper with the County of Los Angeles Agricultural Commission. Registration is easy, costing only $10 per year per beekeeper. The current apiary inspector, Conrad Burns, is a likable, friendly guy. He is going around to all the backyard beeks to make contact, assess beekeeping knowledge, and trying to help with the success of our model. Please do not neglect this aspect of responsible urban beekeeping—get your hives registered. It creates a impression of legitimacy with the public and can only work to everyone’s benefit. Send it in and make a renewed pledge to help establish the most vibrant, connected beekeeping community in the country—Los Angeles. 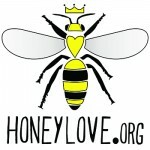 Get involved with HoneyLove and make the networking of a like-minded group help you with your beekeeping challenges as well as contribute to our ever present need for folks to help us spread the message. We really need our members to contribute in substantive ways to continue to accomplish the goals. It is a DONE DEAL!! Mayor Eric Garcetti just signed the ordinance to LEGALIZE URBAN BEEKEEPING in Los Angeles!! Big thank you to all the LA council members, planning department, city staff, community councils and dedicated HoneyLovers who helped us to get here—YAY BEES and YAY BEEKEEPERS <3!!! 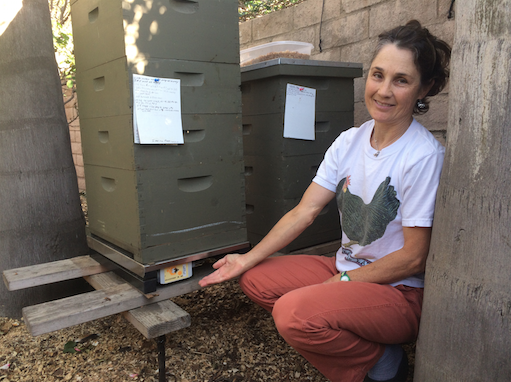 – LA City Council legalizes urban beekeeping today!